15th century chancel & apse. Transepts & steeple added by the widow of Lord Seton, killed at Flodden in 1513. Adjacent building to west of Church also of interest (above), currently refurbished around 2004/05. Seton Collegiate Church stands on a site previously occupied by the 13th century parish church, two miles east of Prestonpans. Dated before 1390, when a south aisle was built by Catherine Sinclair, widow of the First Lord Seton, the Church was erected as a Collegiate Church in 1493. 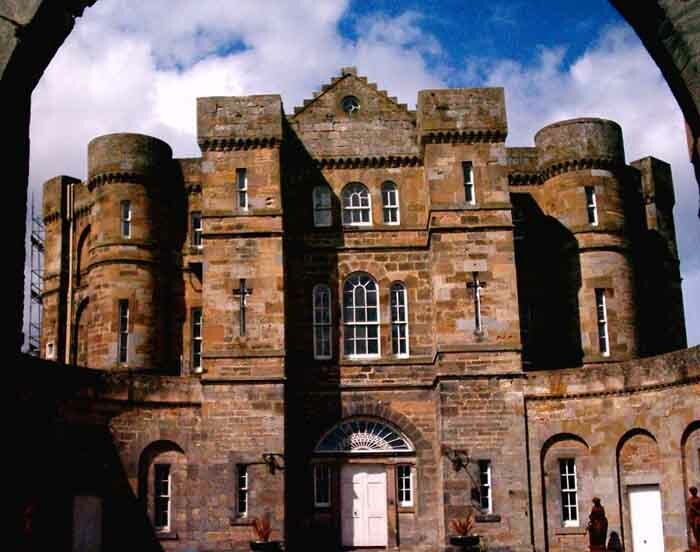 Later additions to the building were made by the 4th Lord Seton and his son, who perished at Flodden in 1513. Thereafter, Lady Janet Seton, nee Hepburn, generously endowed the Church but, in 1544, it was damaged by the English, during the invasion of the Earl of Hertford, who looted the interior before burning the timber work. 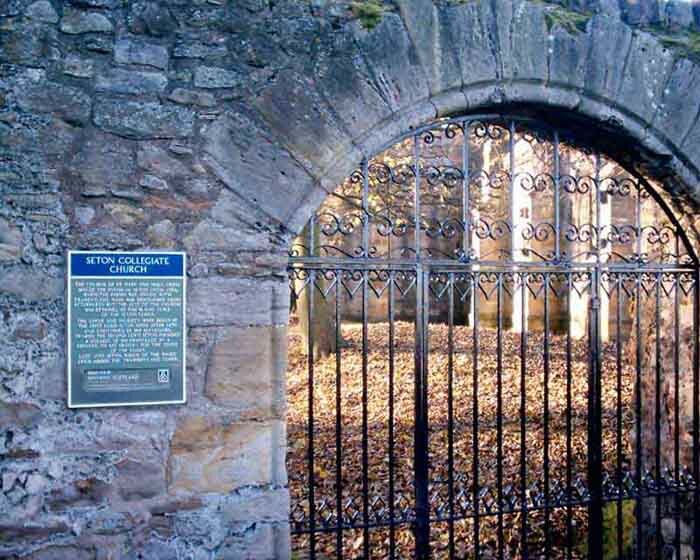 In 1580, the Church was united with Tranent but in 1715 it was entered by the Lothian Militia. Incited by the fact that Lord Winton was a Jacobite, the Militia defaced the interior and demolished tombs and pavements.. In view of their long connection with the Church, there are many monuments to the several members of the Seton family, all preserved by the Wemyss family who acquired the property. 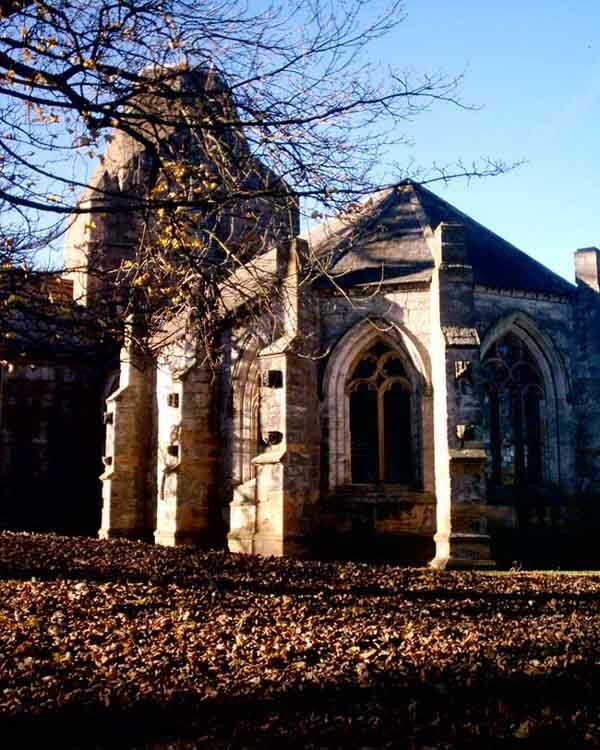 A pilot project at Seton Collegiate Church means visitors can now get a clearer idea of what the historic building was like in its heyday. Information panels have been installed to explain the past uses of some of the fascinating Medieval carved and moulded stones on display in the church. Among them are surviving fragments of window tracery and water spouts which were important features of the church before it fell into ruin. There are also funerary items, like tomb slabs. It is hoped that a scheme to install information panels will be gradually rolled out to Historic Scotland properties the length and breadth of the country. The project has been made possible thanks to Dr Mary Márkus who has been researching the vast collection or architectural and funerary stones in the organisation’s care since the 1990s. Rachael Dickson, Historic Scotland collections manager, said: “These pieces of stone are often the last remaining evidence of lovely architectural features that existed when the buildings were whole. “Thanks to the work of Dr Márkus they are being fully researched, which means that we know much more about them. “We wanted to share her work with visitors and tell them more about the stones, so they can have a clearer vision of what our churches, cathedrals, abbeys or castles were once like. Dr Márkus has examined, recorded, identified and, where possible dated, each of the stones in the collection at the church – and at around 40 other sites. “What is particularly enjoyable about this work is that it provides an opportunity to examine the carved stones in detail – it puts you in touch with the work of Medieval masons, and demonstrates their skills and artistry. “I hope that the new information panels will allow visitors to have more of an insight into what these wonderful buildings were once like. “The stones also provide us with valuable historical information. “They illustrate, as perhaps nothing else can, the complexity involved in designing the window tracery, and the skills needed to cut the stones forming these intricate patterns. The church collection also includes later heraldic panels, which were created for Seton Palace, but are now displayed in the grounds of the church. There are more than 7,000 carved and moulded stones in the national collection cared for by Historic Scotland. They include everything from the remains of pillars, doorways and vaults, to a near-complete rose window at Elgin Cathedral. Many lay where they fell for decades or centuries after the section of building to which they belonged collapsed or was demolished. Plain blocks of stone were mostly taken away for other building projects. Fortunately for archaeologists and historians this meant that some of the most ornately carved pieces were left behind. 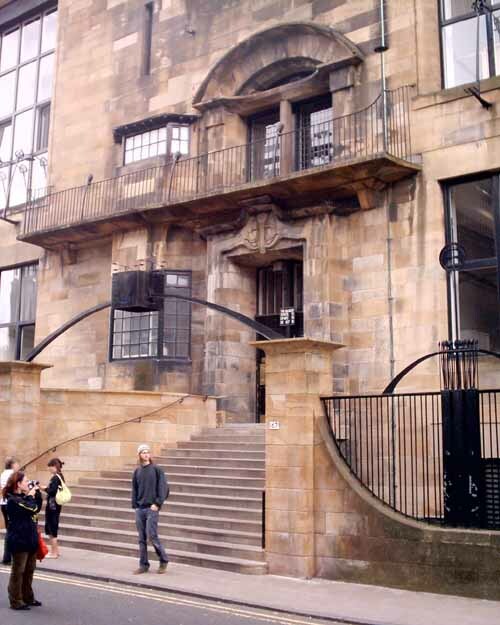 However, in many cases little was known about exactly where in the building they were from or what their functions were until the research by Dr Márkus. Now this work is underway Historic Scotland has developed a flexible new system of fixings which allows display cards of different sizes to be bolted to the benches where the stones are displayed. The cards and fixings have to be highly durable as they will often be exposed to the elements and need to remain in good condition for as long as possible. The church is an attractive ecclesiastical building in a wooded setting – it has a 15th-century chancel and apse. Dr Márkus runs Archetype historic buildings consultancy. She has a first degree in art history from Manchester University and studied tomb design and effigies for her doctorate which is from the University of Glasgow. Historic Scotland is delighted to be supporting the 2009 Year of Homecoming with a series of initiatives including family trails, spectacular events and the creation of a Homecoming Pass for heritage attractions in association with other heritage organisations.